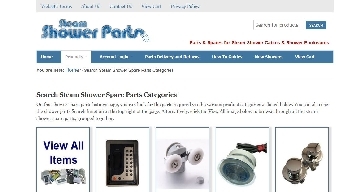 Steam Shower Parts in a specialist online retailer ofreplacement steam shower, shower cabin and shower enclosure parts, as well asbranded parts for models such as Insignia, Aqualusso and Aquaplus, we stock anextensive range of generic parts, specifically shower door rollers, with over30 styles to fit showers purchased from DIY stores such as B&Q, Homebaseand Wickes. Our staff are extremely knowledgeable and are always onhand to answer customer queries. We also have a great online resource of helpguides, video tutorials and instructographics. As well if there is any partthat cannot be found, we offer an image upload service for customers to send asnap and we will endeavor to source for them. 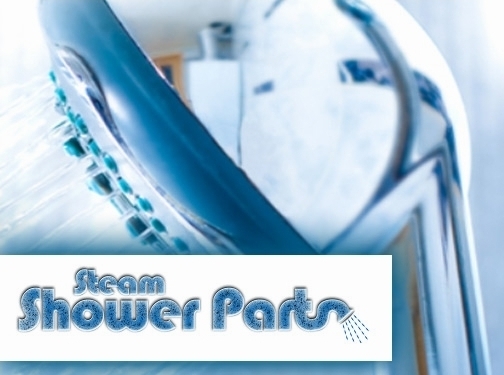 Make sure you head over to our website www.steamshowerparts.co.uk if you have any questions, be sure to go to the Support page where you have access to the varous ways you can contact us. UK (Bournemouth) based business - established in 2011 - providing replacement steam showers, shower cabins and shower enclosure parts. Website includes e-commerce facilities, delivery and returns information, terms and conditions, associations, full company contact details.